Though many have returned to work, most employees remain unhappy with the pay rise proposed as basic salaries were not raised as expected, union leaders said (Photo: Ahmed Salahuddin/NurPhoto via Getty Images). 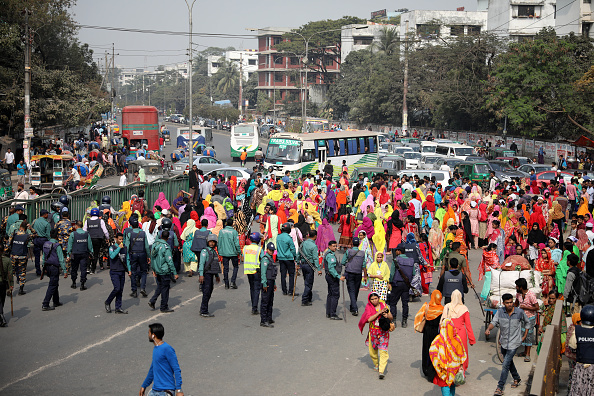 Several thousand garment workers took to the streets in Bangladesh on Monday (14), rejecting a pay hike in the crucial export industry as insufficient, police and union leaders said. 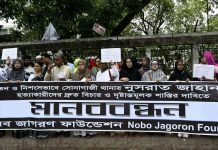 The protests are a test for the government of Prime Minister Sheikh Hasina, who won a third straight term in a December 30 election, which was marred by violence and allegations of widespread rigging and voter intimidation. 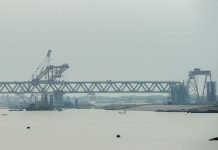 Workers from up to 10 factories tried to block a highway in the Ashulia garment manufacturing belt on the outskirts of the capital Dhaka, said Saminur Rahman, a director for the Industrial Police, which patrols the country’s business hubs. Garment manufactures said the rise put an extra burden on them which small factories will find difficult to afford, urging global brands to pay more for the clothes they buy. Low wages and trade deals with Western countries have turned Bangladesh’s garments sector into a $30 billion industry accounting for 80 per cent of the country’s exports, with retailers such as Wal-Mart Stores Inc and H&M Hennes & Mauritz AB buying clothes from its factories.